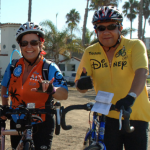 Various processes have been developed to give new life to items that are no longer used at the Resort through donation to the community, internal repurposing and by making items available for cast member purchase. 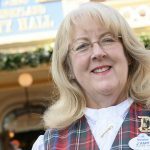 Examples include retired cast member costumes and shoes, plants, holiday decorations, furniture, bedding, dishes and appliances. During the expansion of Disney California Adventure park, more than 174,000 pounds of various items were removed during construction and donated to local organizations, the city of Anaheim and state museums. 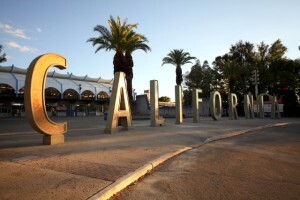 Donated items include the CALIFORNIA letters that once adorned the entrance to Disney California Adventure park, a giant metal sun and a California Zephyr train. Disneyland Resort hotels partner with Clean the World Foundation, Inc. to donate more than 1,000 pounds of partially used guest room soaps and bottled amenities per month, which are sanitized and recycled into life-saving hygiene products for children and families around the world. 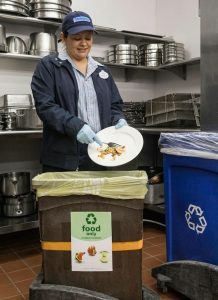 A food donation program at the Disneyland Resort collects over 2,000 pounds per month of unused prepared food from restaurants and banquets for donation to Second Harvest Food Bank of Orange County. At Circle D Ranch, home to the four-legged cast members of the Disneyland Resort, 99.8% of waste generated at the location is diverted from landfills. Today, 20 different commodities are collected for recycling at the Resort, including plastic bottles and aluminum cans, glass bottles, cardboard, paper, plastics, green waste and metal and construction debris. Food scraps are collected at approximately 80 Resort food and beverage locations for conversion into feed nutrients for farm animals. This program diverts over 4.5 million pounds of food waste each year from landfill. The recycling efforts at the Disneyland Resort include more than 650 themed recycling cans throughout parks, Resort Hotels, and the Downtown Disney District for guest recycling. At the three Resort Hotels, all of the trash collected is sent to an off-site materials recovery facility where recyclables are sorted and separated for recycling. 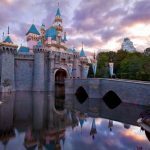 The Disneyland Resort has an agreement with the local waste management company to collect demolition debris generated during renovation and expansion efforts for sorting and recovery of reusable and recyclable materials. In 2016, the Disneyland Resort began an initiative to reduce liquid waste from unfinished beverages in onstage areas. Funnel-equipped recycling cans were developed and placed at strategic locations. The specialized recycle cans encourage guests and cast members to empty their beverage containers before disposal. Collected liquids are disposed in a sewer drain, which is sent to the Orange County Water District Groundwater Replenishment System for recycling. 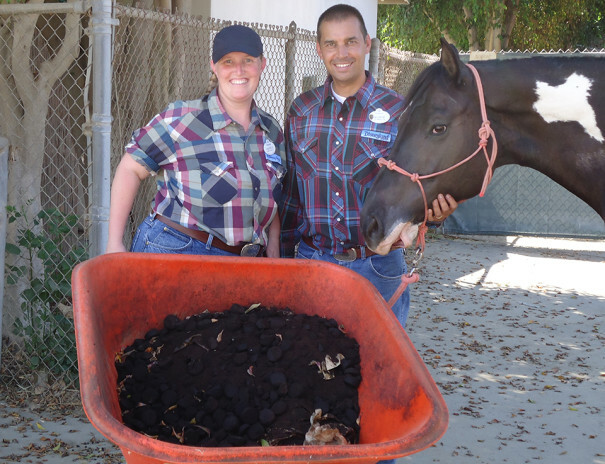 Circle D Corral, home to the animals of the Disneyland Resort, became the first facility within The Walt Disney Company or any theme park to earn a Zero Waste certification from the US Zero Waste Business Council, with 99% of its waste repurposed, composted or recycled.